Another week with another title. 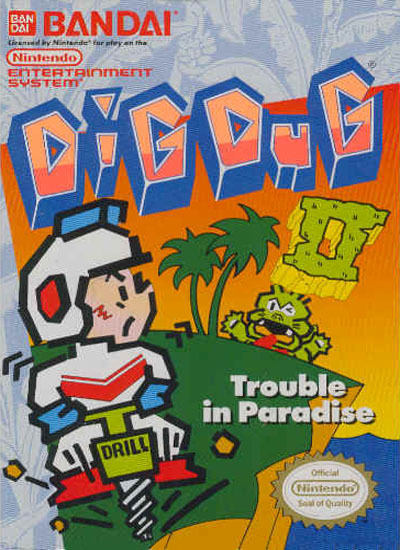 This time around is Dig Dug 2 for the NES. We have been hitting a lot of NES games lately so it’s only fair to continue with them but the next couple of months will showcase other consoles, that’s for sure. This game is different from its predecessor as it takes place in the open. The first one took place underground. I’m guessing the monsters found a way outside and our little hero must blow them up once again. It’s not an amazing title, but it’s definitely worth a mention. The music is simple yet fun. It doesn’t stop when you stop walking like in the first game. The simplicity of it makes it enjoyable. 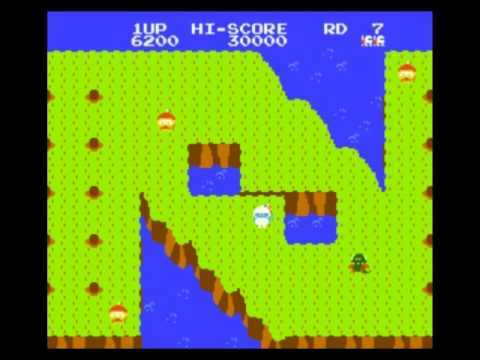 The sound effects are OK but seem to be the same ones from the first game. Nothing more to say about this. The graphics are OK. They could’ve been better if they changed some of the monsters around and introduced new enemy attacks. Nevertheless, there can’t be too much to say about a game that uses the same level design with just some mild differences in it. The gameplay is average. There aren’t many new tricks to use but it’s still fun overall. You have to think of this an arcade game so the point being that you have to increase your skills on your own instead of finding items to help you with it. 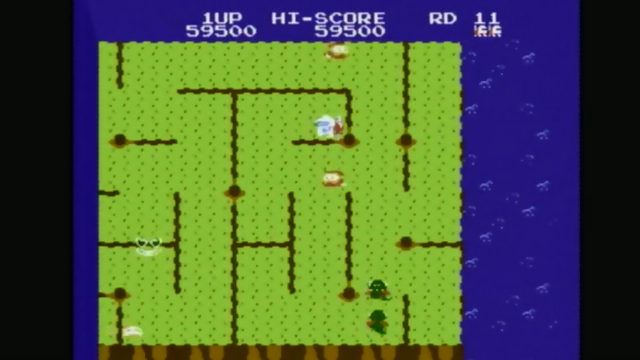 The game is an arcade game at most and definitely a game to replay over and over for challenge purposes. 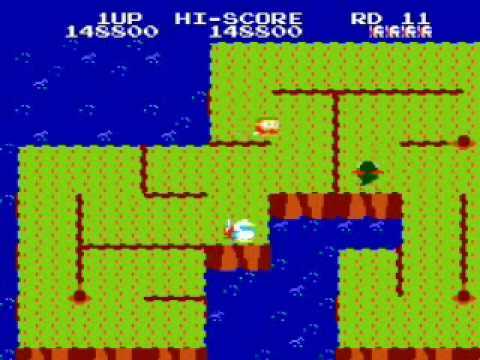 The game itself gets tough like any of the arcade classics so be aware of the challenge that comes ahead. As a retro gamer though, this should be a no-brainer. To conclude, there isn’t much to say about this game but it’s definitely a decent sequel to the classic series. I still prefer the first one over this one. I tend to have more fond memories with it but that’s the only reason why I would pick it. That’s about it, pick it up if you can as it’s quite cheap!